Have an idea? Do you crave to build something? Join us, each Wednesday this summer, for a semester of Startup School. Learn from the best in the industry about what it looks like to start your own company and how to do it well. 9 classes taught by the best in the industry, 9 lunches, a t-shirt, and invaluable networking. Many people think entrepreneurship is glamorous. Truth is, entrepreneurship is hard. Really, really hard. While it can be an incredible experience - the opportunity to build a better future, being in control of who you work with and how you work while experiencing the direct connection between effort and results, you must be prepared for the journey. This class will be all about starting off and what to expect. It is imperative that a company’s legal affairs are in order, particularly for an emerging growth company that is likely to face increasingly intense due diligence in connection with its capital raises and its ultimate exit event. The session will address the key issues facing startups, provide expert advice on how to avoid and troubleshoot the common pitfalls, and discuss best practices for structuring your startup for longevity and profitability. Startup teams are small so who you hire is vital. You want to create the right culture and have well equipped people on your team. Who do I hire? Where do I start? We will discuss all you need to know about building your dream team. We will explore different agile development methodologies, and how to mold the process for your unique team. We'll also take a look at building an MVP (minimum viable product) in 2018 -- from choosing the technology stack, to leveraging free services, and finally going beyond the minimum. What will take your startup to the next level in terms of acquisition and revenue lie in this very important practice. What your end users want and need are sometimes two very different things. Learn how to focus on what provides immediate value for "Earlyvangelists" of your product or service, and how to make this an ongoing part of your business model. Your brand IS your customer's experience with your company, which is why it's essential to develop a go-to-market plan that includes customer journeys and empathy mapping before launching. This Branding/Go-To-Market class will introduce you to key concepts and tools that will ensure you are reaching the right people and creating experiences that will drive measurable growth. Learn the various forms of investment and the Investor & Entrepreneur perspectives for each, to set a foundation for your capital raise. Learn best practices for conducting a capital raise, everything from pitching tips, to valuation discussions, and key metrics to address in order to get the right partners in your round. Lastly, we'll de-code "venture speak" and see what types of businesses are best funded through venture, bootstrapping, bank loans, grants & the variety of other forms of funding. Building a company from scratch takes money. The need for cash is always right in front of you. The very best place to get money is from those early adopter customers. We will explore strategies to gain those first few critical customers. These customers are the first stop on the road to success. This class will give you the ideas you need to get them. You have a story, and your audience wants to hear it. Learn how to effectively communicate your journey. 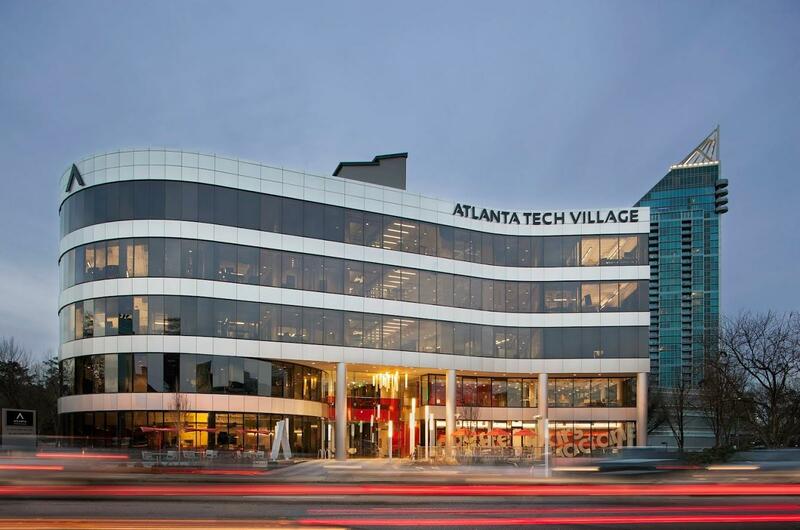 Atlanta Tech Village is building a thriving ecosystem in the tech community. Our mission is to support and inspire entrepreneurs to achieve success through a community that promotes faster connections between talent, ideas and capital. Together, we will fuel Atlanta's rise to a top five tech startup center in the U.S.